May 20, 2013, Santa Rosa, CA—Sonoma County Winegrowers, in partnership with Sonoma County Vintners and the Sonoma County Farm Bureau, are initiating new economic research to measure the full economic impact of winegrowing and winemaking in Sonoma County, as well as the overall impact of agriculture in Sonoma County. Sonoma County Winegrowers has retained Stonebridge Research to conduct the research, following up on research last conducted eight years ago in 2005. The full report is expected to be completed in the fall and released to membership and the public in early 2014. 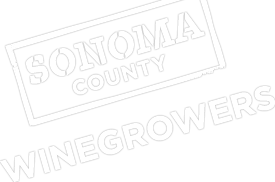 Sonoma County Winegrape Commission, dba Sonoma County Winegrowers (SCW), was established in 2006 as a marketing and educational organization dedicated to the promotion and preservation of Sonoma County as one of the world’s premier grape growing regions. With more than 1,800 growers, SCW’s goal is to increase awareness and recognition of the quality and diversity of Sonoma County’s grapes and wines through dynamic marketing and educational programs targeted to wine consumers around the world. For more information about SCWC and its programs, visit www.sonomawinegrape.org. Sonoma County Vintners (SCV) is the leading voice of Sonoma County wine, dedicated to raising awareness and building understanding of Sonoma County as one of the world’s premier wine regions, noted for its heritage of artisan winemaking, distinct growing regions, and extraordinary quality. Founded in 1944, SCV represents more than 200 wineries and affiliates of all sizes throughout the county. Learn more about SCV at www.SonomaWine.com. The Sonoma County Farm Bureau is the “Voice of Agriculture”, representing over 3,300 local members and all types of agricultural commodities and segments of the industry. Established in 1917, Farm Bureau is the largest local agricultural organization, providing advocacy at the local, state and national level. Farm Bureau is committed to promoting agricultural and environmental education. To learn more about SCFB, visit www.sonomafb.org.